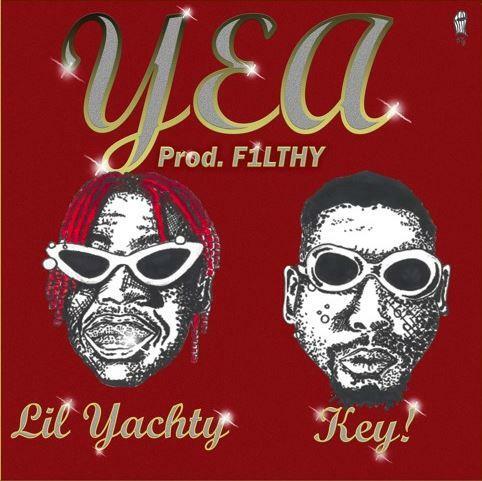 Home>New Songs>Lil Yachty Songs> Lil Yachty - Yea Feat. Key! Lil Yachty is an emcee who can't keep new tracks on the down-low for very long. On the heels of his latest Teenage Emotions drop "X-Men," he's got a brand new one entitled "Yea" that was released on Soundcloud last night. Featuring Key! and produced by F1LTHY, the boated one takes his rhymes to a more personally historical place, telling stories about where he was when he was younger. There's also a tinge of confrontation, where roles in the urban hierarchy need to be learned. All this happens over a swirling trap beat, giving Yachty yet another live performance-ready track to add to his arsenal. SONGS Lil Yachty - Yea Feat. Key!